For most children, Halloween is one of the most fun days of the year. It’s a chance to dress up, have a party and go door to door trick-or-treating. And of course, coming home with bags full of candy! But for one young boy, Halloween is so much more than dressing up – it’s a day to feel normal. 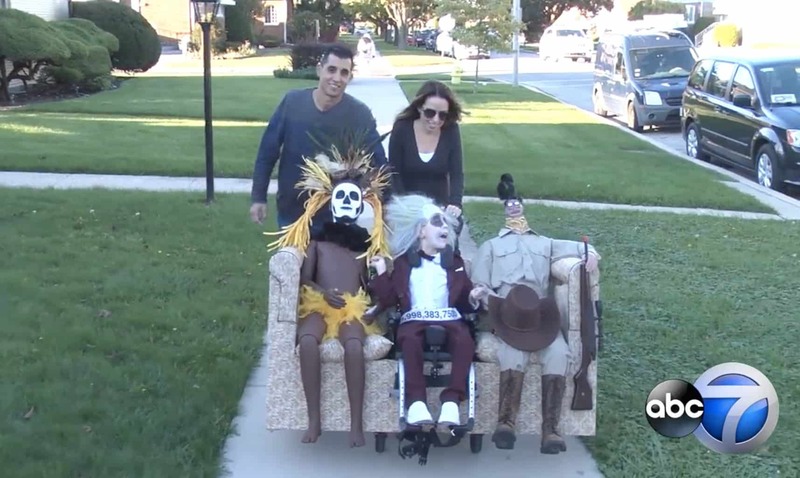 9-year-old Anthony Alfano from Melrose Park, Illinois, has set the standard for awesome Halloween costumes thanks to his incredible parents. 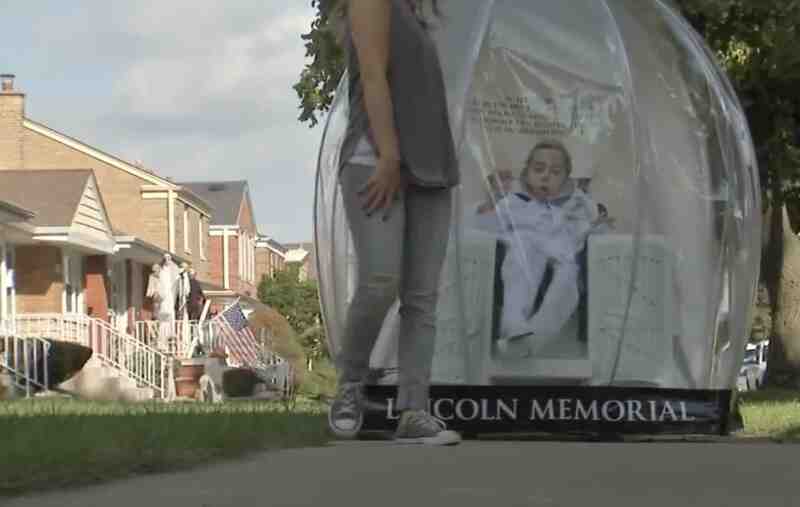 In the past few years, he’s been Minime, an ice hockey goalie, Zoltar and even a snow globe of the Lincoln Memorial. Little Anthony lives with cerebral palsy which has left him in a wheelchair and with very limited movement. Because of this, Halloween is like a great disguise to feel like any other kid and escape the stigma of feeling ‘unable’ to do fun things. Every Halloween, Tony builds his son an elaborate costume and his mom Deanna puts the finishing touches together. Unlike other kids his age, Anthony can’t dress or feed himself but he looks past these struggles to enjoy trick-or-treating. And the Alfanos make sure that he has the best Halloween each and every year. In fact, his costumes are so good that Anthony goes home with a full bag of candy every year! 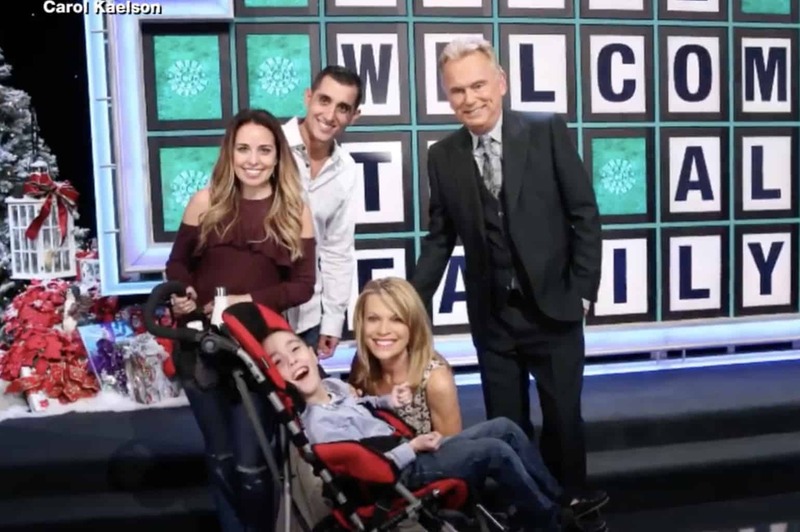 Last year, Anthony’s wheelchair was turned into the epic Wheel of Fortune spinning wheel. People were so impressed with it online and Anthony even got the chance to watch a live recording of the show and meet the hosts. This year, Anthony’s costume is an incredible replica of ‘the famous waiting room scene’ from the movie Beetlejuice. 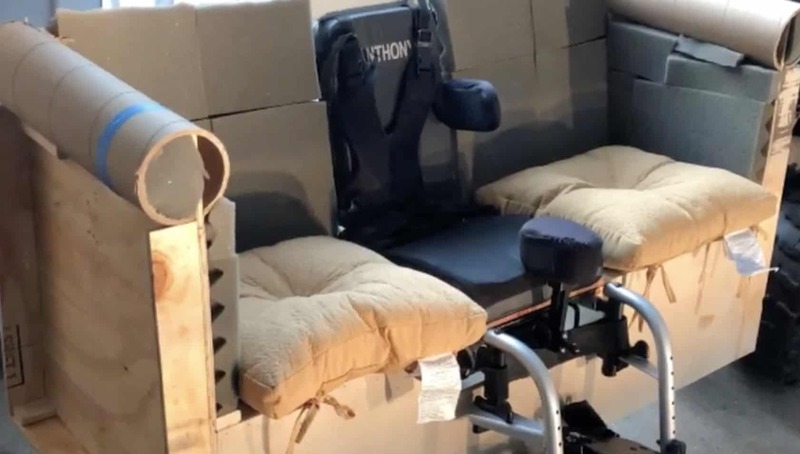 Dad built a fake couch around Anthony’s old wheelchair and they got some mannequins to sit at each side of Anthony. Anthony’s mom then got the clothes and makeup together to turn her son into the perfect Beetlejuice doppelgänger. Each year, Tony and Deanna aim to take Anthony’s costumes up a notch – he loves seeing how they come together. Tony was asked if he thinks he’s reached his peak with the elaborate costumes but he doesn’t think he has yet. Anthony’s now seen as an inspiration for other kids who are told “they can’t” and Deanna couldn’t be prouder.